Banat News, Updates & Latest Site Additions . . .
Banat News & Updates . . .
Stefan Jäger Wandkalender 2013 (Wall Calendar) Stefan Jäger - Bilder unserer Heimat. With 13 color prints after paintings by Stefan Jäger. Practically every month, and on this page: our name days. Order the book from www.banater-schwaben.de or by e-mail to landsmannschaft@banater-schwaben.de for 10 Euros (8 Euros cost + 2 Euros shipping). Banater in Südostrumänien 1951-1956. Sterbefälle im Baragan, Uwe Detemple. 1951 decreed the Romanian Interior Ministry to relocate "dangerous elements" of a 25 km wide zone along the border with Yugoslavia. 12,791 families with 40,320 persons were deported to the Baragan level in southeastern Romania. After the abolition of forced stay 1955/56, many families returned to their villages in the border region. In Baragan remained not only their homes and fields, but also their deaths. The comprehensive documentation of all 1000 deaths of Banatern from 121 villages of Banat. Städte und Dörfer (Towns and Villages) Editor: Elke Hoffmann, Peter-Dietmar Leber and Walter Wolf. Contributions to the settlement history of the Germans in the Banat. Series: The Banat and the Banat Swabians, Volume 5, published by the Landsmannschaft der Banater Schwaben, Munich 2011, ISBN 3-9229979-63-7, large format, 670 pages + 1 map, price € 45 - plus shipping costs. My journey from the Banat to Canada by Nick Tullius. 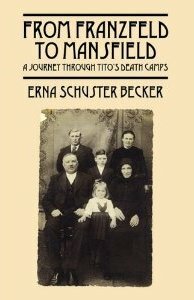 In the first part of this volume, the author describes life in a Banat-Swabian village during and after the Second World War. The second part of the book deals with the migration of the author to join his father in Canada, and his integration into the new environment. Herta Müller, 2009 Nobel Prize in Literature Recipient! Born in Nitzkydorf, Banat. Info and publication list. Shift of Languages in the Works of Robert Reiter by Imre J. Balázs (Cluj/Romania). Robert Reiter, later known as Franz Liebhard) was born in 1899 in Temesvar. This & That . . . Families of Barbara Hilderson - BAUER, BIER , DAMM, DIX/TIX, EDELMAYER, EICHERT, ENGELMANN, HAFNER, HEIN/HAIN, HENZEL, JOCHUM, JOST/JOSZT, KULBURG, KUHLBURGER, LAUT, MAIER, MORITZ, OCHSENFELD, PFEIFFER, SCHMIDT, SINGER, STEMPER, TASSINGER, WEBER, WEINHOFER, WELS/WELSCH, WINDENBERGER, WOLZ/WOLCZ from Banat Villages: Alexanderhausen, Arad, Baratzhausen, Billed, Bogarosch, Lenauheim, GrJetscha, GrKikinda, Hodon, Johannisfeld, Knees, Temeschburg: Fabrikstadt, Franzstadt, Warjasch.